Sunday 5 p.m. – 9 p.m.
Monday through Wednesday 5 p.m. – 9 p.m.
Thursday through Saturday 5 p.m – 10 p.m.
Sunday 5 p.m. – 10 p.m.
Monday through Wednesday 5 p.m. – 11 p.m.
Thursday through Saturday 5 p.m. – 12 a.m.
No. 9 Park offers valet parking as early as 5:00 pm every evening at a price of $21.00 per vehicle. Located in an elegant townhouse in historic Beacon Hill, No. 9 Park provides an intimate setting to enjoy Barbara Lynch's refined cuisine. 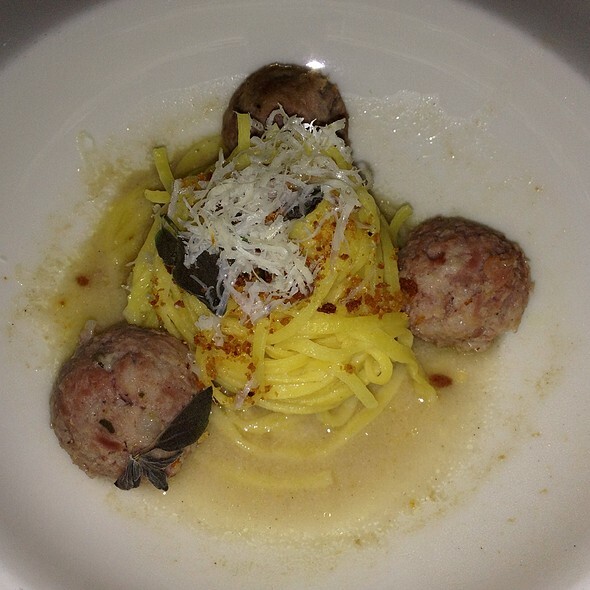 The menu showcases an artful blend of regionally inspired Italian and French dishes with an emphasis on simplicity and flavor. The wine program focuses on regional producers whose styles reflect a taste of place. The dining room, designed by Cheryl and Jeffrey Katz of C&J Katz, radiates a quiet and timeless elegance in the form of a muted taupe palette and dark polished wood floors. From the carefully selected wines to the warm hospitality, No. 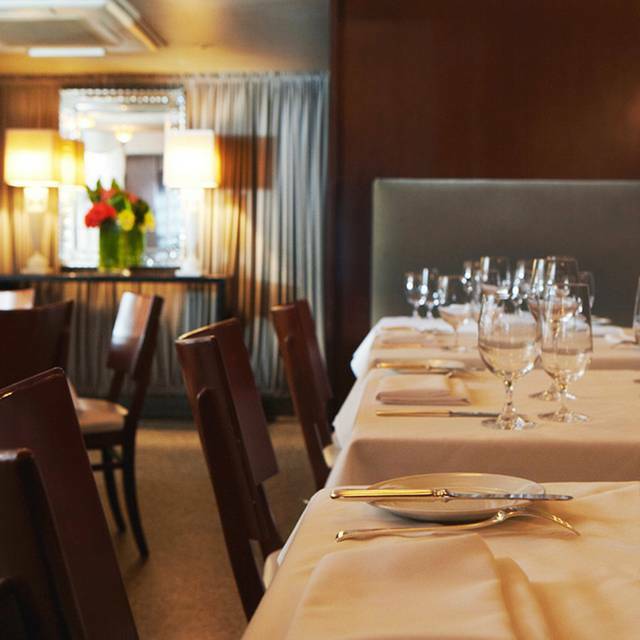 9 Park strives to set the standard for fine dining in Boston. Parsnip & parsley purée, heirloom potato. 10g royal white sturgeon caviar, optional supplement $60. Wine Pairing: 2017 Verget Mâcon-Villages "Grand Elevage"
Glazed black barley, heirloom carrot, vinaigre de vin rouge. Wine Pairing: 2015 Cheveau Saint Amour "La Villa Violette"
Treat mom to Mother's Day lunch at No. 9 Park! We're opening early, from 11:30am - 2pm, with a celebratory 5 course tasting menu (available in addition to the a la carte menu) and featured cocktails to make it a festive afternoon. 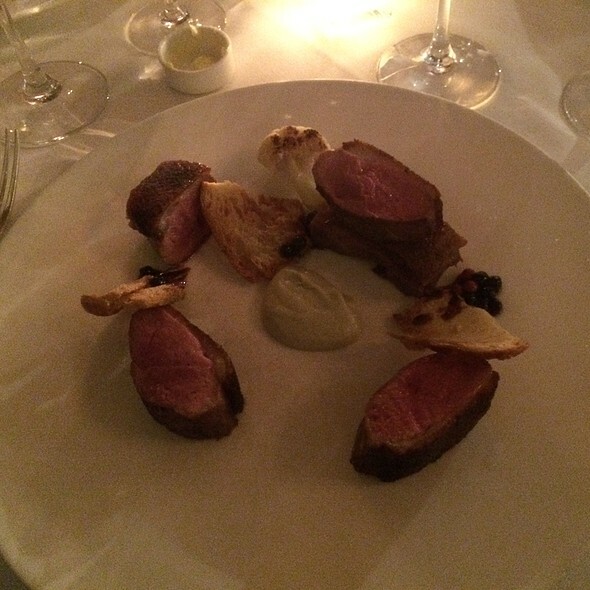 We had the pleasure of dining at No 9 while visiting Boston this weekend. It was phenomenal! The food (burrata, Bavette, and chef’s veggie plate) were amazing. Everything was cooked and arranged to perfection. I highly recommend trying the veggie plate as it gives you a great sampling of the chef’s creations; my plate included 5 sides. What really set the place apart was the service. The staff, which was almost a 1:1 ratio to patrons, played off of each other and truly worked as a team for a seamless dining experience. We will be back the next time we return to Boston . Some 20 years on, the food is still outstanding. The staff was great, very attentive and able to help in food decisions. Great cocktails as well. The food was decent and the service was very good. However, I somehow felt like there was nothing in the experience that made it stand out. Maybe I expected far too much from the experience. I had wanted this to be a special meal to celebrate my boyfriend earning his coveted 6 Star Marathon Majors medal. No mention was made even though I had asked twice by email. The food was lovely but all very rich and heavy - no ‘light’, fresh touches or taste or imaginative combinations. The service was very attentive, overly attentive and fussy in my opinion, with the wine / water glasses and bottles being constantly moved (around 12 times in 5 seconds for my setting) and I found the waiter commenting on our conversation very intrusive. The setting was lovely, good ambience but overall trying too hard, a touch pretentious and over priced for only slightly imaginative food. That said our company made it a good night. Good scenic view if seated next to the window overlooking the park. Impeccable. Every. Single. Thing. Made for a perfect celebratory evening. Amazing food and the best service. Did the chef’s pairings and all courses were excellent. Very high quality waiter and service. Dishes were well thought out and the wine pairing for each was spectacular. They were able to provide gluten free alternatives for various components in each dish without compromising on flavor. We do a good bit of food/wine pairing and specifically chef tasting menus around the world. At least three of the 8 dishes we had stood up to any we have had. Our compliments to the entire team. FABULOUS. We went there for my birthday dinner as I understood they had good gluten-free bread. As I am also vegan, they served gluten-free, dairy-free bread which is better than any regular bread I've had. In addition, I had the vegan assiette (chef's special vegan plate) which is an assortment of vegan items, and it was delicious. My husband had the scallops and loved them. The atmosphere is lovely and the service outstanding. Definitely a restaurant we'll be back too. Server was knowledgable of the menu and suggested a delicious bottle of champagne. Food was delicious! Very memorable dinner. Would be even better with a soft remodel of the space. 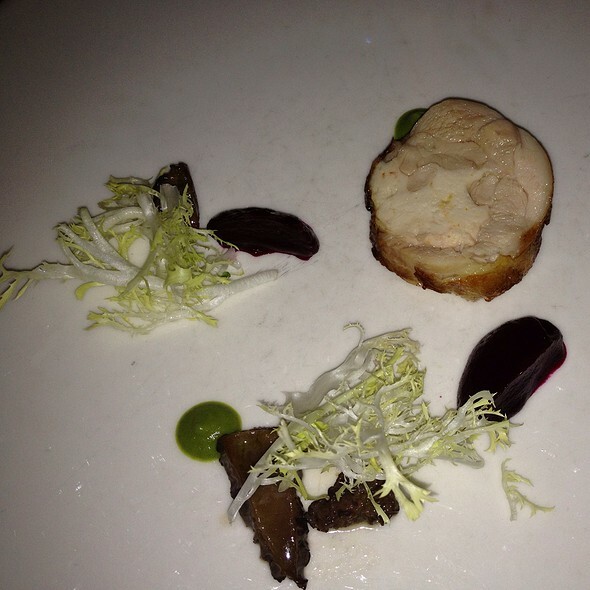 The chef’s tasting menu was fantastic. Highly recommend the wine pairings. Got suckered into the tasting menu and “premium” wine pairing. BIG mistake. Food quality and presentation were excellent but everything else was extremely poor. Pacing was inconsistent at best, primarily slow - we had to ask twice where our food was before they finally started serving - and mistimed with the wine, which was served 5-10 mins before the course it was to be “paired” with. Wine portions were ridiculously skimpy - just a few sips worth - and unevenly poured. They extracted the wine into small carafes then tried to split the amount evenly when hand pouring at the table. Results varied widely. While the food was great I would definitely think twice about going back and advise anyone going to avoid the wine pairing option. We have not been to No. 9 Park in several years but our dining experience was outstanding. Steven was our lead server and guided us in the menu selection. the oysters were refresing with the mignionette sauce. the prune agnolotti was excellent. the chicken was excellent as was the halibut. The service team was attentive, explained the dishes. Our experience was lovely, from beginning to end. Our waiter was so professional and warm, really added to the experience. But the food! Oysters, gnocchi, black sea bass, all outstanding. The menu offered so many choices, makes a strong case for going back over and over again. Such a well run restaurant, they set the standard. As a visitor from London, staying in New York then a few days in Boston, my partner and I were looking forward to our meal at No 9 Park. The lighting at our table was poor (1945hrs) and this carried through into the dining room generally. 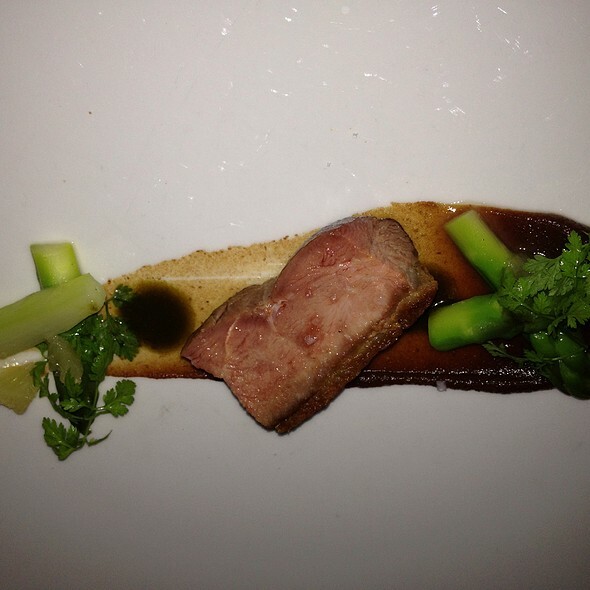 If you can barely see what you are eating, that is an issue and a disservice to the chefs. I did raise this with staff, and an extra tea light candle was provided as the best solution. As beautiful as Boston is, dining experiences like this can taint what was otherwise a superb city break. I do hope that Barbara Lynch reads this. If I was a chef/proprietor with a formidable reputation, I would be mortified should my patrons receive a below par experience. Having had a great experience at No.9Park several years ago, we were actually pretty disappointed this time. In particular, the service was surprisingly poor, disinterested, and perfunctory - especially compared to what we experienced at our first visit. We actually had to flag down our server to ask for an additional glass of wine, and up to 30 minutes repeatedly went by without anyone stopping at our table to ask if we needed anything. The duck entrée was terrific, but the signature gnocchi were doughy and tasteless. Not to sound too much like the snarky food critic in the great movie "Chef", one sensed complacency and over-confidence - dangerous to any of us in the "customer service-based" trades and professions. We were charged for a drink that never came but other than that, the service was great. The food was outstanding, per usual. This is our go-to spot for special occasions. I'm trying hard to understand how this place is considered a top ten restaurant in Boston. The food was utterly blah. So little flavor for so high a price. 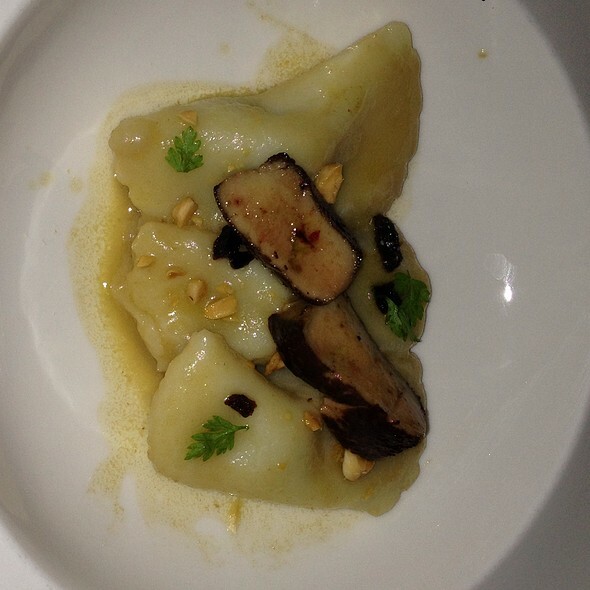 We had the prune stuffed gnocchi with fois gras which was absolutely wonderful. 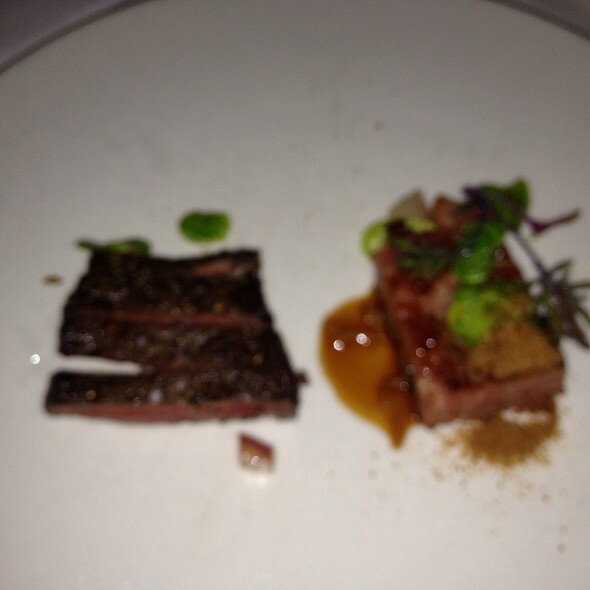 But both of our main dishes (the wild striped bass and the roasted bavette) were flavorless and boring. The bavette came with a few tidbits of cauliflower, some of which was roasted and some of which tasted pickled. The beef (all 3 ounces of it), while deep pink and juicy, had no discernible seasonings. If I had served it up for dinner at home I would have considered it a fail, and I'm just an average cook. The braised beans that came with with bass were equally flavorless. At $45 a pop one would think these tiny servings would at least have a little oomph - something special to write home about. But there was nothing the least bit noteworthy about either dish other than how much you're paying for such completely mediocre dishes. The decor was equally meh. On a brighter note, the service was wonderful. Everyone was attentive, sweet, and knowledgable. In a nutshell, go anywhere else for dinner. My girlfriend has a but allergy and they were very accommodating. Rather than just taking the nuts out of certain dishes they put thought into it and crafted her a totally new dish rather than having an incomplete dish. They asked if we were celebrating anything, and it was our anniversary so I informed the host and when the dessert came out it had chocolate writing saying happy anniversary. And waiters ( even ones that weren’t ours) would congratulate us in passing. It really made it feel like a special occasion. We have made a tradition of spending the night in Boston prior to an early morning flight out of Logan for vacation. Part of that tradition is having dinner at No.9 Park. It has never disappointed. Birthday dinner for hubby. Romantic corner table and lovely armistice with excellent service! 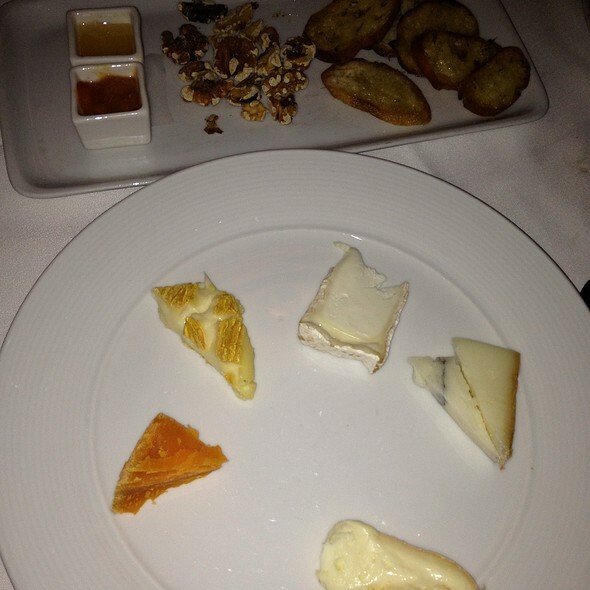 The appetizers, wine, dessert, ambiance and service were superb. However, all three of our main dishes were poor: The halibut was overcooked; the bavette tough. Overall, dinner was a disappointment. We had a fabulous meal, and the service was attentive but not too much so. Its expensive but worth every penny! Most outstanding tasting dinner experience! Everything about this restaurant is absolutely amazing!!! During Dine Out Boston, we made the first visit to this lovely restaurant. We did not have any exceptional dish unfortunately. Cold poached egg was much more like a runny egg that is served with ramen, although Japanese Ramen restaurants serve a better version. The service was quick and attentive. We may come back here for some occasion. The dine out menu was too limited and we had to compromise the quality of dishes. Taste was not bad, but cost performance was not good at all. No. 9 Park is still one of the most extraordinary restaurants in Boston. The setting is unparalleled, especially the view through front picture windows, watching the twilight across the Common and then the lights of the city sparkle. Our recent visit was for Restaurant Week, and No. 9 did itself proud offering a representative menu for the occasion. The service, the wine, the plating and the food itself impeccable. always perfect for the most special occasions in life. Thank you to the talented chef(s), staff and Ms Lynch! Went for dine out Boston. $38 for an amazing 3 course meal. Can’t beat that for a restaurant of this caliber! Great experience here for dine out boston. The quality of food was not discounted. 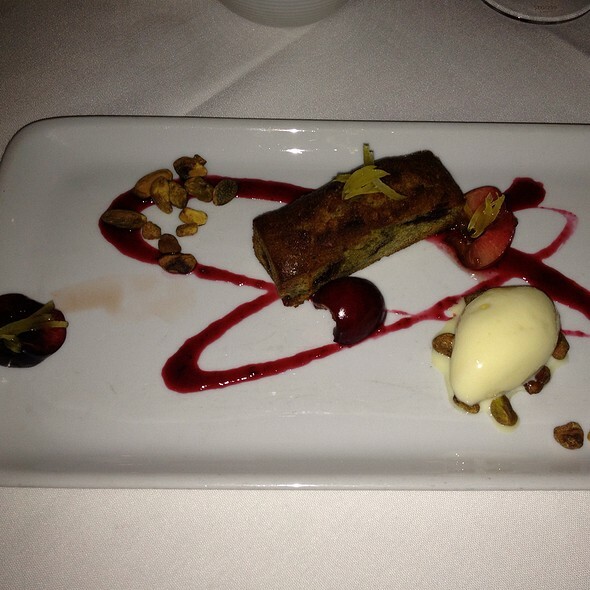 Even during restaurant week menu and service were outstanding. Supplemented with the prune-stuffed gnocchi and fois Gras — not the kind of food you’d want to eat every day, but fantastic!